The latest release of the MSCRM 4 SDK is available, 4.0.12. You can find it here. MVP David Jennaway offers a very nice explanation of the latest SDK here. 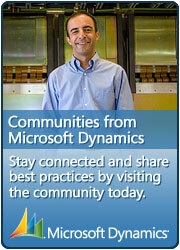 This entry was posted in Information, MS CRM and tagged MSCRM, SDK on May 8, 2010 by Rhett Clinton MVP.